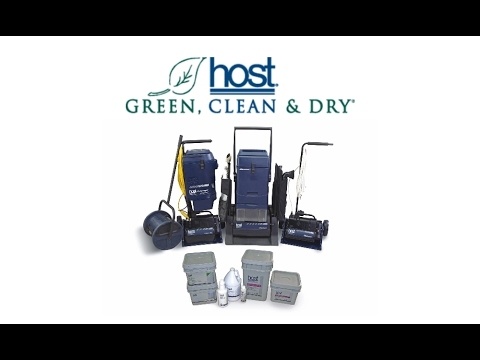 The HOST Extractor VAC[TM] Liberator frees you from time-wasting trips to the janitor's closet for vacuums, spotters, carpet cleaning machines and pile lifters. Power vacuums "lawn mower" style to cover long hallways and lobbies in a flash. Offers high speed productivity and superior effectiveness. Pile lifts as you vacuum without an extra labor-intensive step. Maintains and restores at the flick of a switch-the ideal machine for CAMP! Removes spots and they won't come back! Detail cleans with onboard crevice tool. Improves IAQ! Removes allergens and dust via 4-stage filtration, with optional HEPA-type filter. Filters: 4-stage, fine particulate paper filters and HEPA-type available. Warranties on Liberator machine sold in the USA: One year except brushes, air filters, timing belts and carbon brushes.